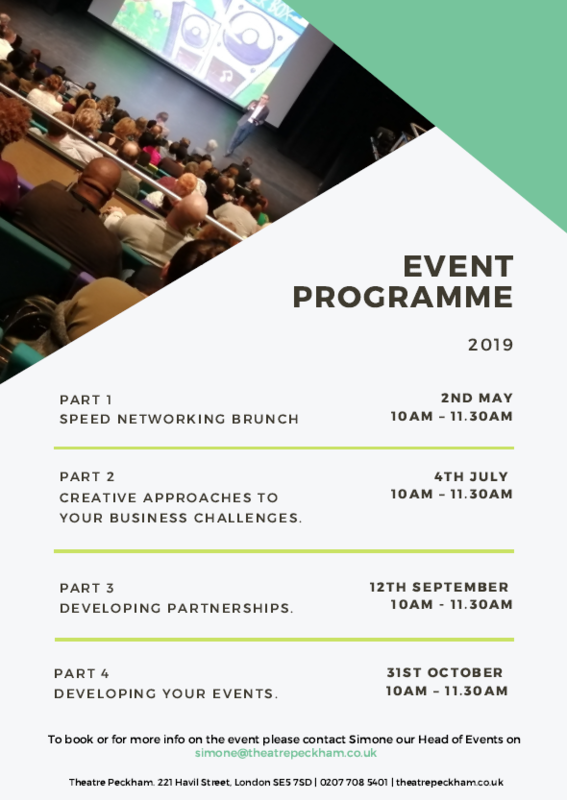 Theatre Peckhams’ Business Brunch is a 4-part quarterly event, hosted at Theatre Peckham where local and corporate businesses can come together build relationships, develop networks, share best practice and exchange skills in the heart of the community where creativity and innovation thrives. Part 1 – Speed Networking Brunch. Arrive for brunch at 10am. Once you’re suitably nourished come and join us for our informal speed dating style network event where you can meet other businesses and find out who else is in the community. Refreshments provided.